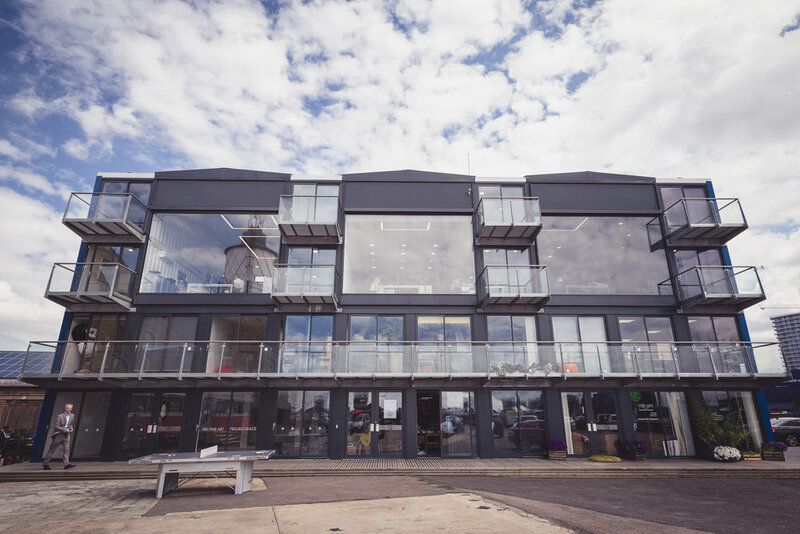 Recycled from the 2012 Olympic Broadcasting Studios at Stratford Olympic Park, Clipper House is one of the latest additions to the vibrant community at Trinity Buoy Wharf. The building provides a number of workspaces, all with amazing south-facing views over the O2 Arena and River Thames. Fully let before completion, Clipper House accommodates the Royal Drawing School, the Thames Clippers HQ and the University of East London, to name a few.